Hey folks! I’m back after a short blogging break during which, of course, some sewing was done. The weather is quite dreadful in London at the moment, so I couldn’t photograph everything I made yet. 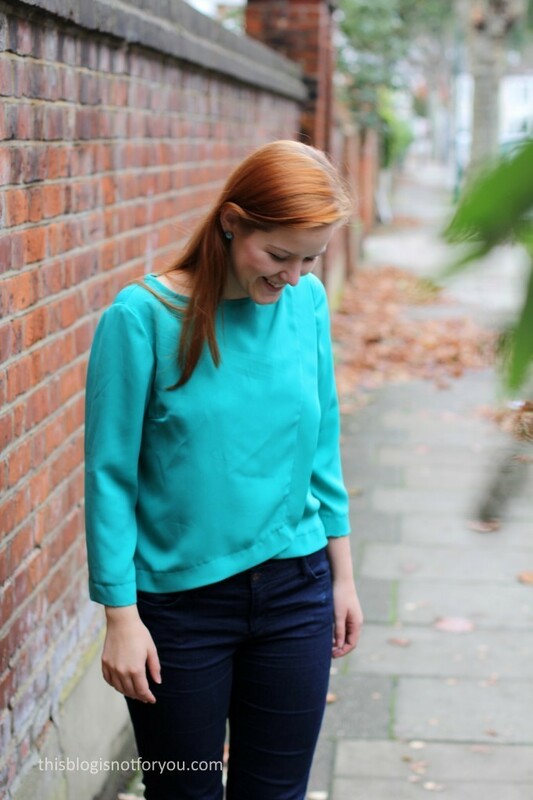 I made this blouse two weeks ago before I went back home. It was a quick afternoon sew and the fabric didn’t even cost me a penny. I scored it at the last fabric swap at SewBrum. 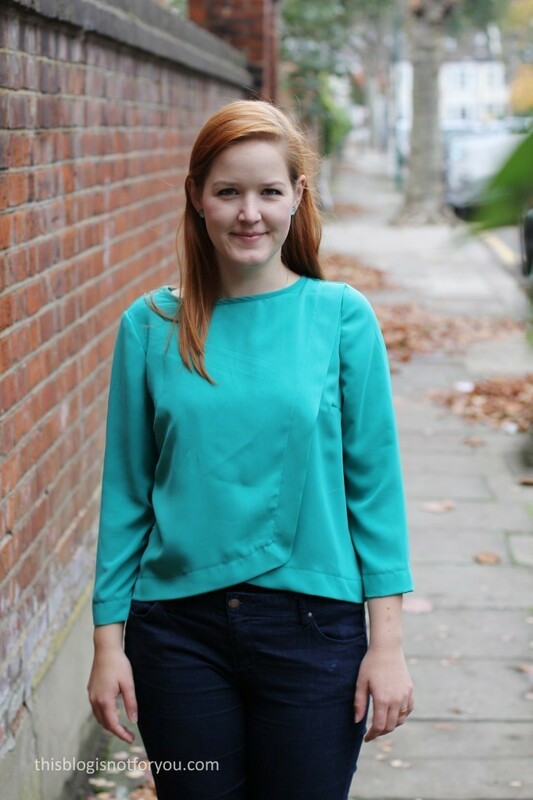 At fabric swaps I am one of the ‘polite’ ones – (Is it possible to be impolite at fabric swaps? I mean, there’s fabric involved, so I guess everything’s allowed) – which basically means when I spot something that I like I don’t immediately grab it, but wait and see if someone else might be interested as well. If no one wants it after a while, I take it home. This actually works quite well, and some of the ‘leftovers’ are some really gorgeous fabrics, you wouldn’t believe it. For some reason no one wanted this beautiful baby. This colour seems to be my new favourite and two other fabrics I got in the swap are of the same colour, but knits (yay!) It is polyester Crêpe (I think) and very soft and drapey. It was very easy to sew with and only needs a bit of ironing after the wash. Thanks to whoever brought it to SewBrum! Yes! 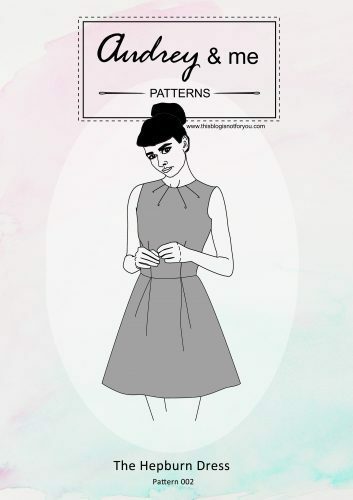 I’m back to sewing with Burdastyle patterns. 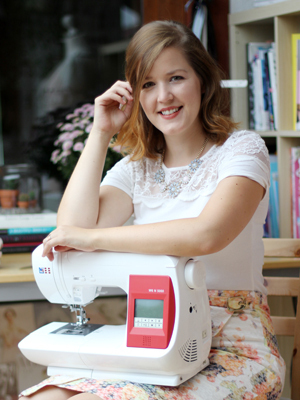 For some reason I neglected all my Burdastyle magazines for months and only used indie patterns. I recently went through all my magazines and found some awesome stuff. Since then I’ve made quite a few Burdastyle makes and am planning more! For this blouse I used the Wrap Blouse 04/2014 #115 pattern. There are only three pattern pieces, so it was super quick to trace, cut out and sew. I did not make any major changes to the pattern except for omitting the center back seam. I have no idea why it’s there and what it’s for, so I simply cut the back pattern piece on fold. Maybe it was intended as a funky design feature, but unless you want to insert a zip, I don’t think center back seams are the greatest design detail. The pattern suggests using a 110 cm (44 ins) wide Crêpe, length 1.85m (2 1/8 yds) for a size 10/36. My fabric was 150cm wide and I had barely a metre of it, but I managed to fit all pattern pieces on there. I often find that Burda’s fabric requirements are quite generous, so if you think you don’t have enough fabric, it’s still worth a try! 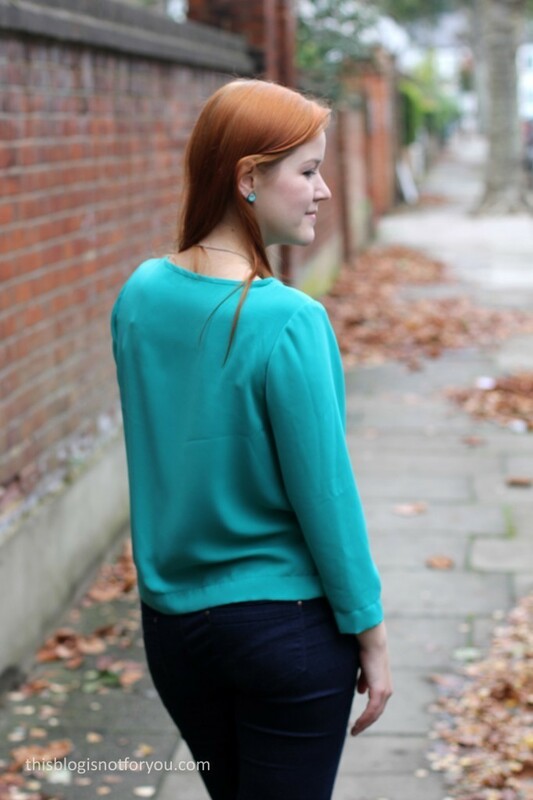 I love the length of the 3/4 length sleeves. They align perfectly with the top’s hem. 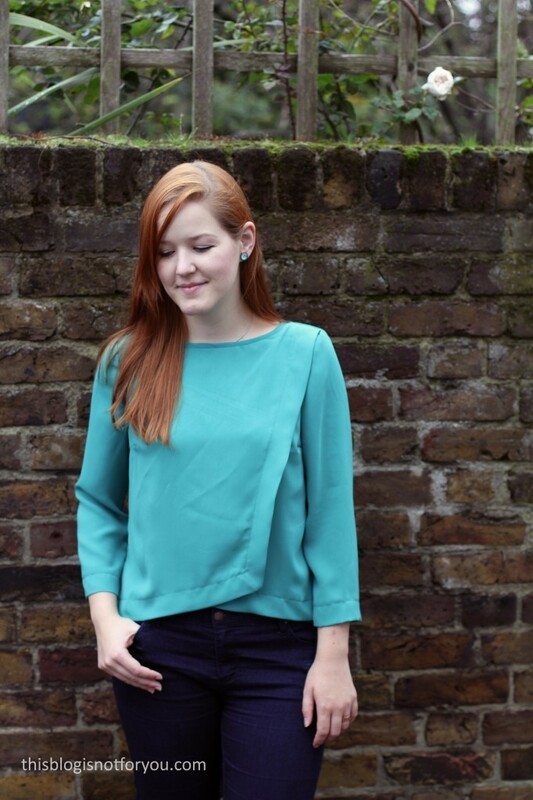 The top is intended to be quite boxy, but the soft fabric makes it look very elegant. I am a big fan of a wide boatneck, so this pattern was really perfect for me. For some reason I have to think of a kimono, though. Maybe it’s the wide sleeves or the wrapped bit. But kimonos are cool anyway, aren’t they? The front panels’ overlap is pretty safe. 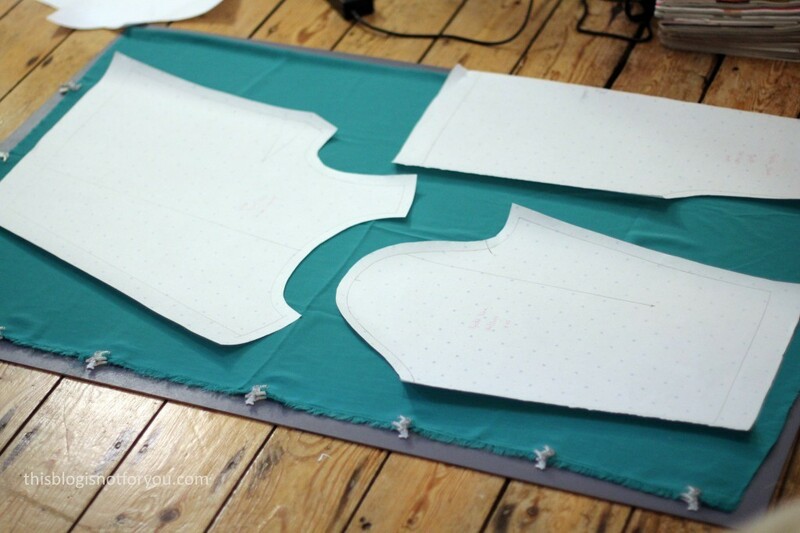 The front panels are basically stitched together at the neckline and the bound off by bias binding. If it’s really windy (as in the picture below), the worst case scenario would be showing a bit of tummy. So for work I wear a little black vest underneath (makes it also a bit warmer). Will I be making it again? Definitely. Especially since it’s such a quick project which doesn’t use up much fabric. I was pretty happy with the fit, so no reason why I shouldn’t make another one! I think this is fabric I brought to the swap! I picked it up in a hurry then decided it wasn’t my colour. 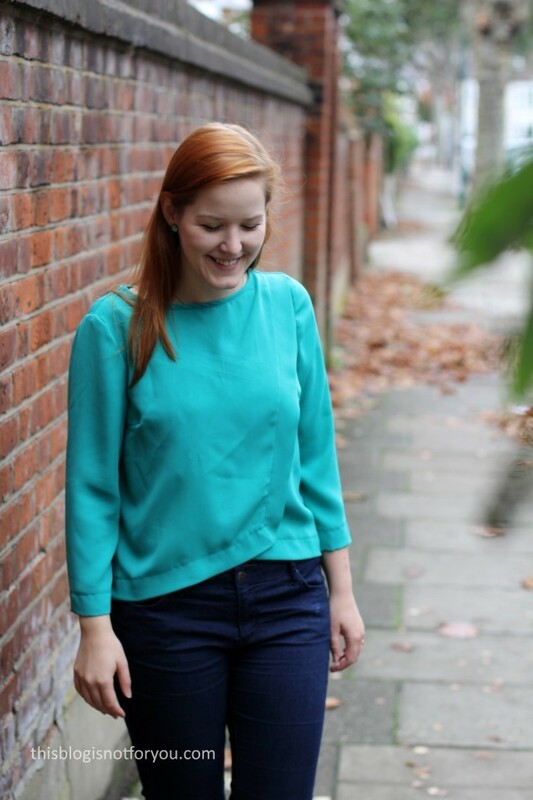 I love this top – it’s a great relaxed shape and the colour suits you! 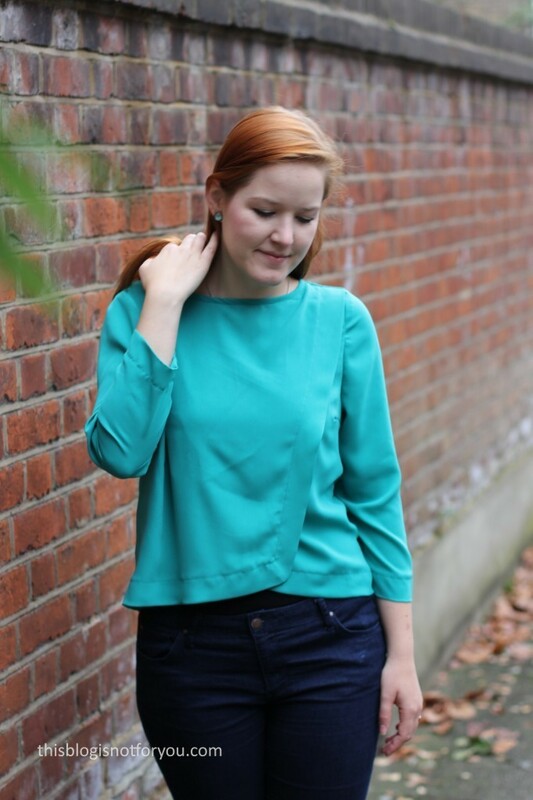 That is a truly gorgeous top and the colour is divine! I may have to track that particular issue down, just for that top (or see if they do it as a PDF!). It’s so pretty, you look CLASSIC! 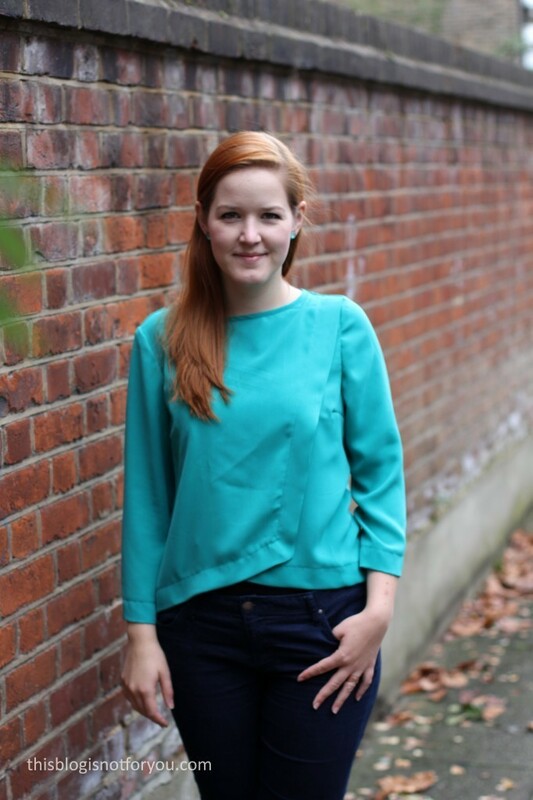 This blouse’s colour + your hair colour = JUST WOW! I’ve made this pattern twice now and I too love how effective it is even with only 3 pattern pieces. 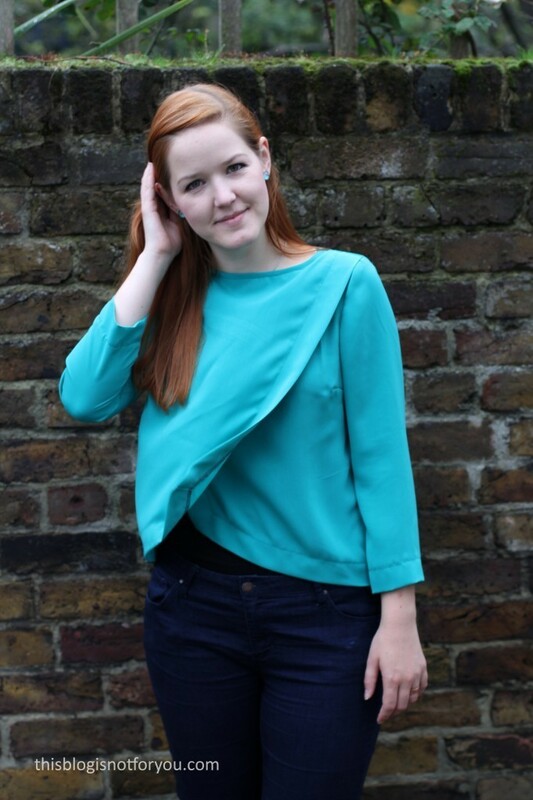 I’ve just looked at this top and thought about making it with some fabric I had ear-marked for another project but sadly realised this morning that I don’t have enough length. Seeing your lovely version has inspired me to go for it so my evening will now be spent squinting at indecipherable pattern mazes! Gotta love a burda trace-a-thon- not! Besutiful! I think this will be my next make! Oh! This is pretty. Love it. Really elegant. Love the colour too. 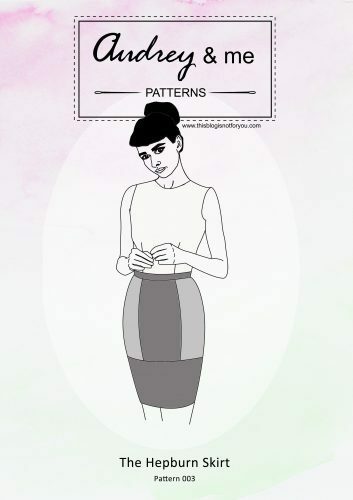 That pattern looks fab – might try to purchase it. 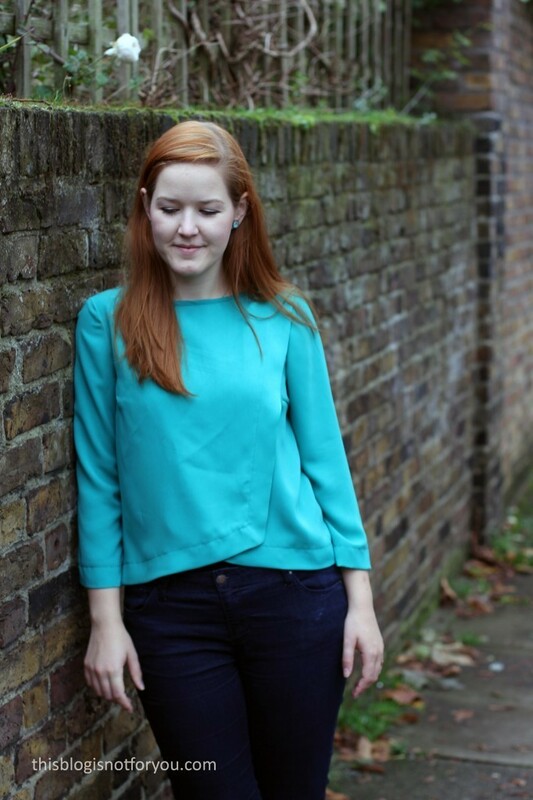 And the top looks lovely on you – colour really suits. The Sew Brum meet up was great. In love with this dress- the color is absolutely beautiful! You did great job styling this look, it’s a perfect one for this Holiday season!